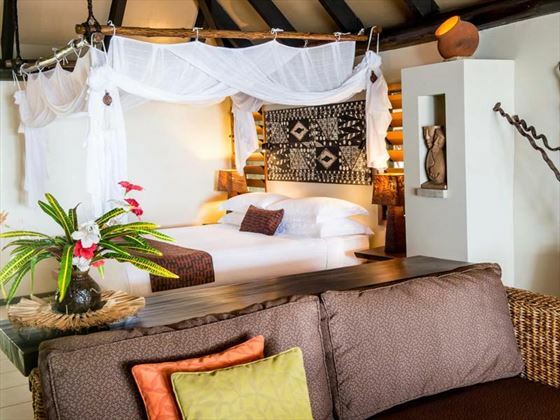 This is a gorgeous adults only boutique resort on the stunning Fijian island of Tokoriki. 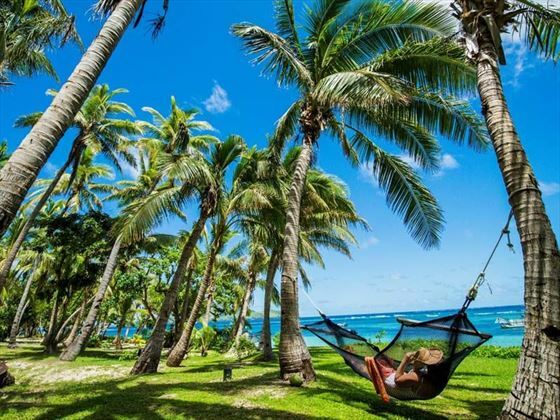 Flanked by silvery sand and lush foliage, this is that South Pacific paradise that you’ve been dreaming of. 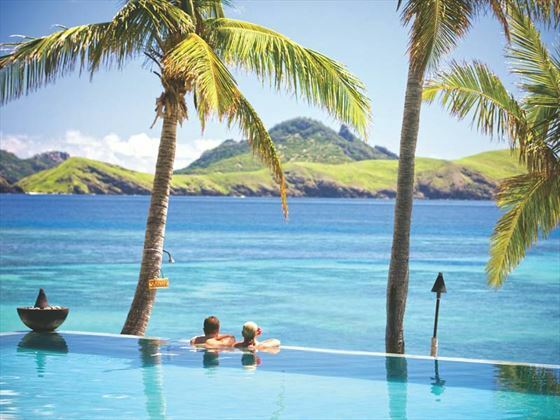 With superb facilities, jaw-dropping surroundings and exceptional staff, the resort is perfect for honeymooners and couples looking for relaxation and romance. 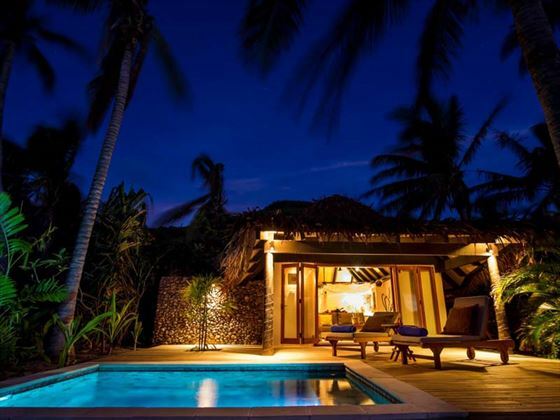 Sitting on the gorgeous Tokoriki Island, this luxury boutique resort enjoys a truly jaw-dropping beachfront location looking out onto the shimmering turquoise of the Pacific Ocean. 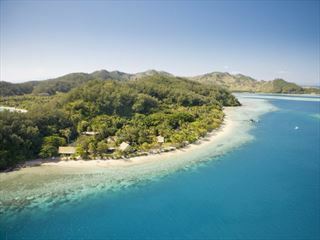 Adorned by luscious tropical landscapes, these 60sqm freestanding bungalows offer the perfect Fiji escape for couples and honeymooners in search of a serene and private hideaway. 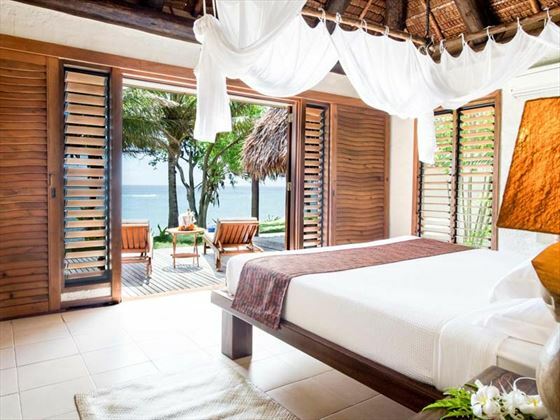 From all around the Bure, you’ll experience breath-taking garden or ocean views, whether you’re lounging on your hammock or you’re taking a shower under the stars in your private courtyard area. 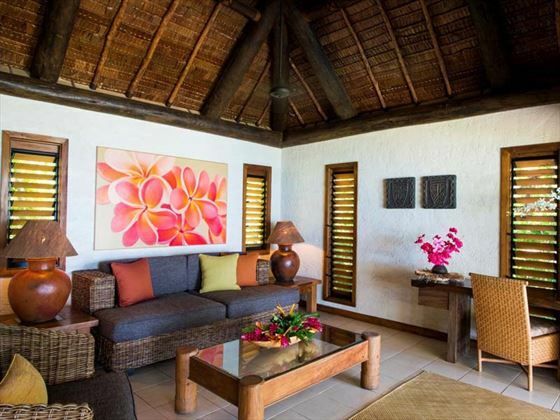 A luxurious, freestanding 60sqm bure furnished with a blend of contemporary style and gorgeous Fijian design, featuring magnificent ocean views from a private 63sqm deck with a stunning swimming pool enveloped by lush tropical gardens. 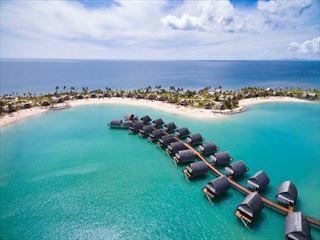 Offering the ultimate Fijian escape, this spectacular 120sqm freestanding, open-plan villa is set upon the silky soft sands of the beach, featuring a pampering selection of exclusive amenities and unforgettable vistas overlooking the glistening ocean horizon with amazing sunset views. 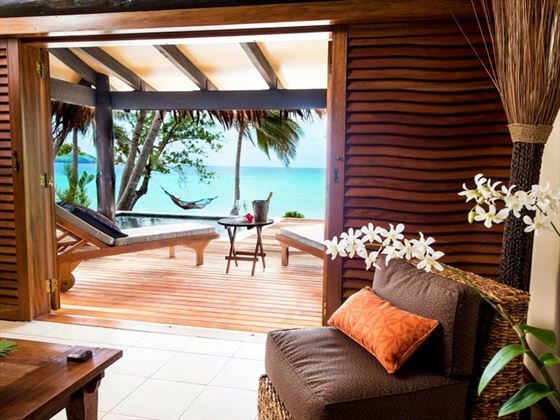 Enjoy a complete feeling of privacy, serenity and an abundance of sumptuous, beautifully-appointed living space. 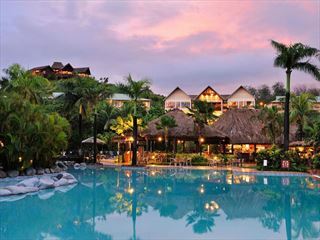 The resort serves a la carte breakfast, lunch and dinner with a daily changing menu. 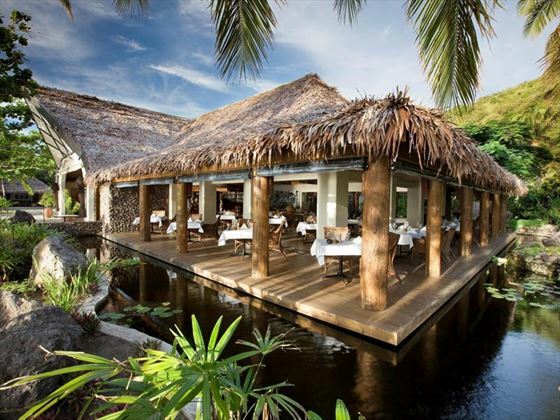 Tokoriki’s team of expert chefs prepare a wide range of delectable foods, taking influence for Fijian cuisine and other styles from around the world. 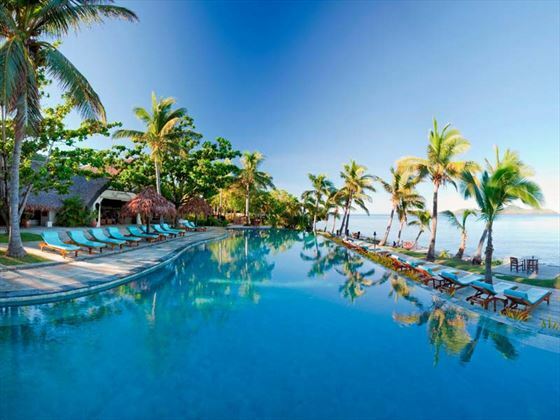 You can add on an optional meal plan to your stay to include breakfast, a two course lunch and three course dinner on the a la carte menu and taste of Fiji buffet on Wednesday nights. Meal plan begins with lunch on day of arrival and ends with breakfast on departure day.